The game itself was a bit one-sided. All of my troops got deaded, (variously blown to bits, burnt to a crisp, gunned down or deserted), but my artillery and Valks were still doing their thing, and my Tripod Knight was running the show like a boss. It took a shoeing, but managed to neutralise everything that could threaten it and then it had the run of the board. 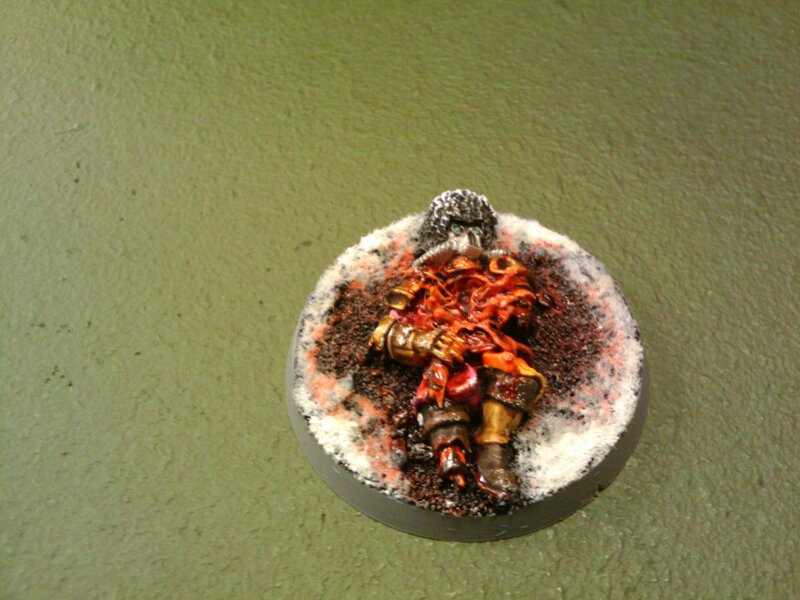 The First-born took a fearful beating – pie plates and packed guardsmen are not happy bedfellows, and most of the tankage was dealt with by the knight. We called it at turn 3, but it was only a matter of time. That said, we still had a good game – Matt is still getting to grips with Guard so it was very much a friendly, and we had a good laugh. 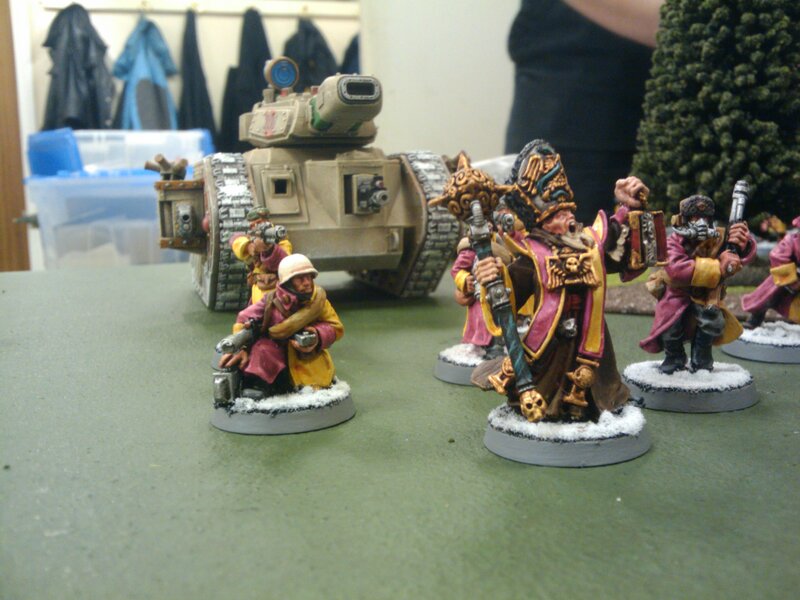 His list reminded me of how I ran my Praetorians last year – loads of lovely troops and a liberal smattering of armour. Unfortunately, I found that I regularly lost, and I got tabled more than once. 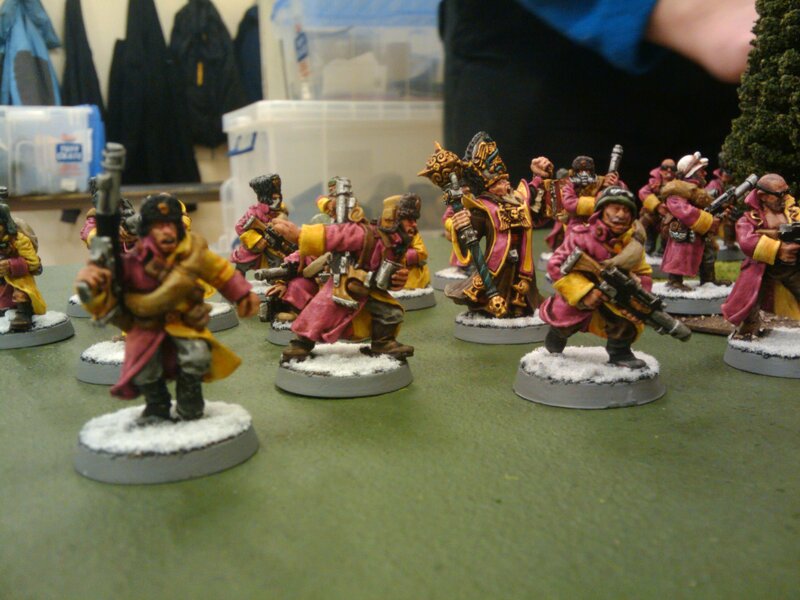 I’m still working on a competitive list and I just took the latest iteration by default really, but next time we play I will run a bloke-heavy list – we shall have a proper infantry scrap, and it will be a thing of beauty. I am also hoping that one day we can team up against another stunning army and create a huge spectacle of everything that is awesome about the hobby. 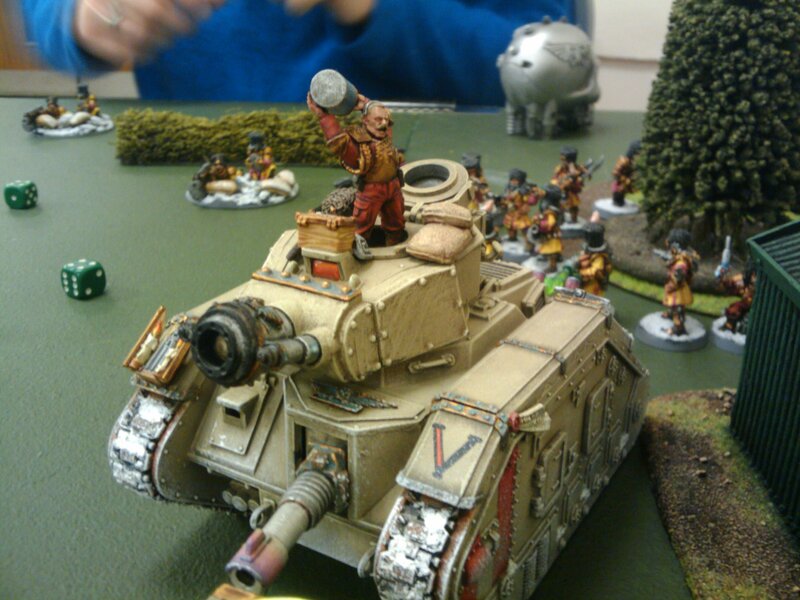 Most of all, it was a privilege to play against such a nice bloke with such an inspiring army. Much respect due. 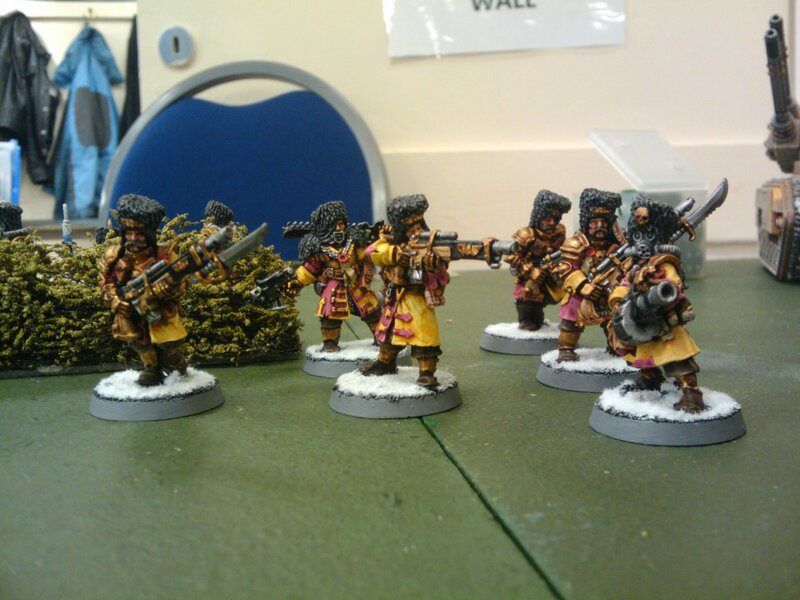 It must have been a sight to see brother; those Vostroyans are gorgeous, and your brave Praetorians are awesome too! 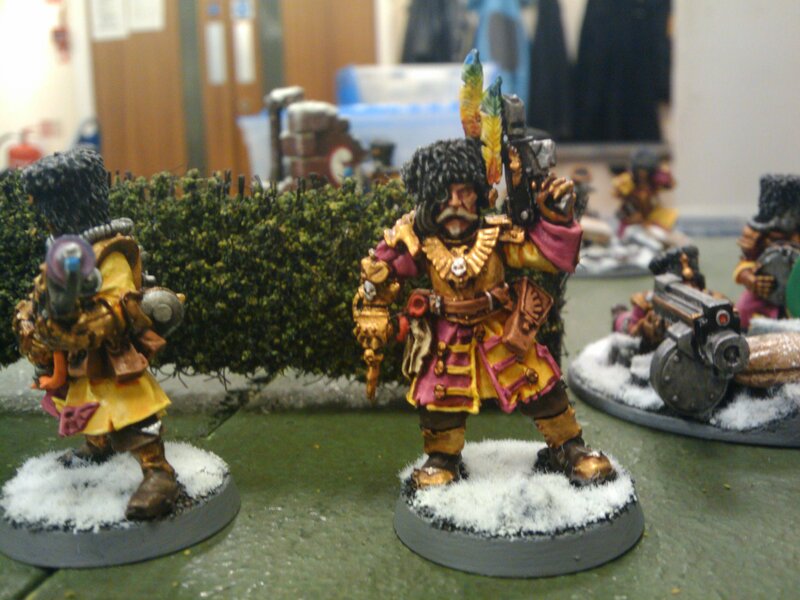 Is that a Kislev bear I see in there too? Awesome in the extreme! Glad about that mate, Guard can be a tricky list to field, as there are so many different ways to play the game with them! Each has pro’s and con’s, but in general, a ton of pie-plates is a good start. The Wyvern is surprisingly good, the Hydra is surprisingly bad, the Manticore can be brutal. One thing I do know – the Knight is a great addition to Guard. 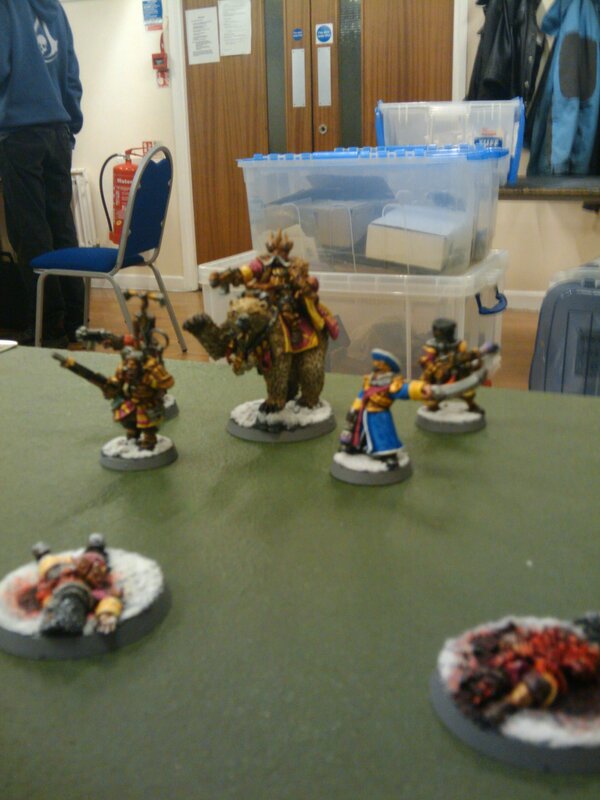 It complements their firepower beautifully, and it gives you the option to go kick stuff in – tanks, Daemon Princes, C’tan shards, Termies, all fair game. Knights are the new Flyers, and dealing with them is definitely a thing. Hopefully start gaming again soon.